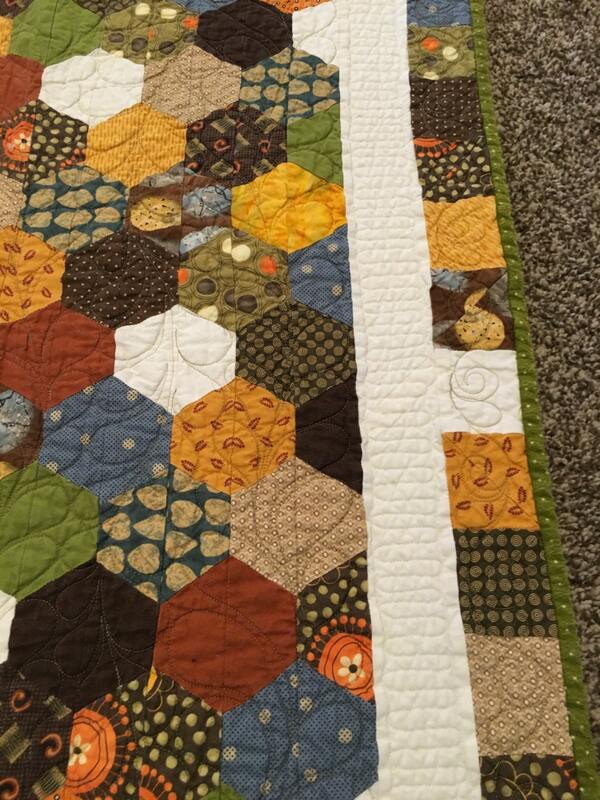 Lay your baby on this custom made quilt. 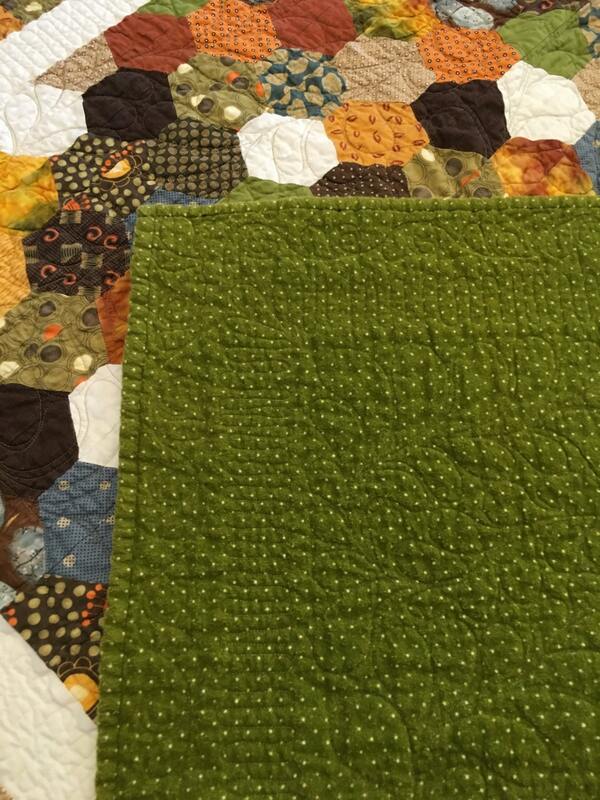 This measures 46 x 54, made of 100% cotton fabric, backed in green/white polka dot flannel. The batting is a cotton/poly blend (80/20). 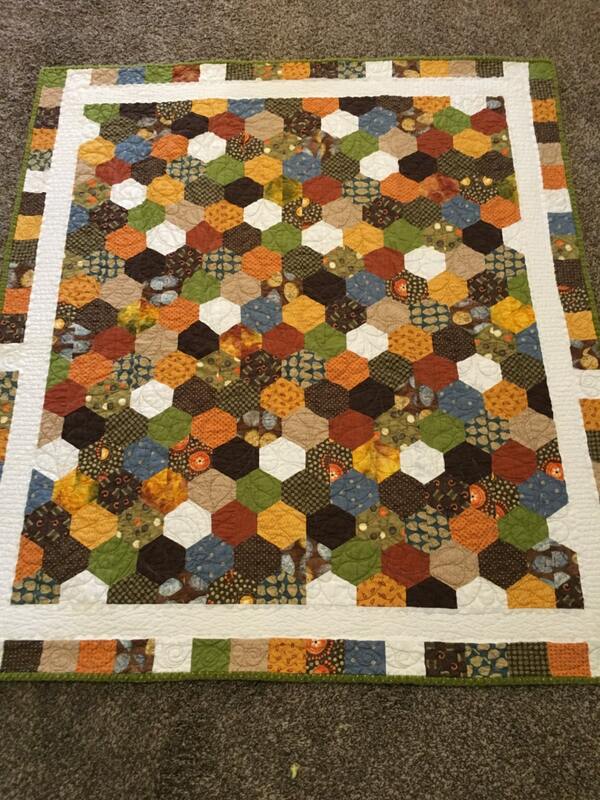 This quilt washes well and can be put in the washer and dryer. This has been made in a smoke-free, pet-free environment and while padded, it rolls up easily to fit in a bad or perfect the back of your SUV when changing diapers!